The Source of the famous Nile River, Lake Victoria is located in East Africa. Discovered by John Speke in 1858 and named after the then Queen (Victoria) who was at the reins of England that time. 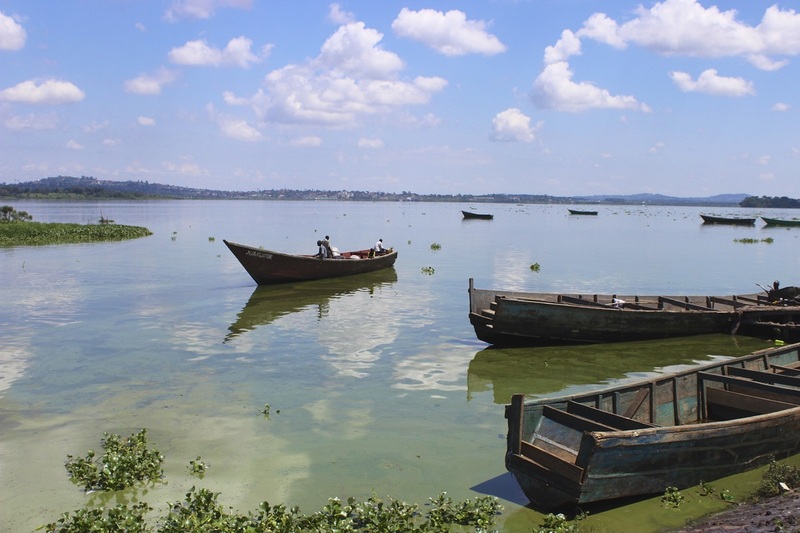 The lake rests between three countries namely, Kenya, Uganda and Tanzania. Lake Victoria covers an approximate 68,800 km squared. Scattered along the beautiful shores of Lake Victoria, there are approximately 84 secluded clusters of islands, known as the Ssese islands. These islands have become a major source of tourist attraction, thanks to their exhilarating natural environs, exotic wildlife, flora and fauna. All the islands are significantly different from each other, in terms of their shape, size, and vegetation including people and wildlife. Regarded as Africa’s largest tropical lake, it is also boasted as the second largest freshwater lake in the world and the reservoir of the Nile River. As the lake is moderately shallow, its volume is evidently less in comparison to other great lakes in the African region having considerably smaller surface areas. The source of River Nile starts its journey from Jinja and meanders through Bujagali falls and drains in Lake Kyoga. It then cuts a passage West across karuma Falls. It follows the narrow passage of Murchison Falls towards Lake Albert through Uganda, Sudan and finally settles in Egypt. Lake Victoria concavely lies in between the western part of Albertine Rift and the eastern segment of Great Rift Valley. Nearly 85% of the water inflow and 15% of the water outflow in the lake is mainly caused by evaporation and rainfall instead of rivers. Besides, small streams of Kagera River also feeds water into the lake’s basin. The single outlet for the lake is by the side of Jinja (Uganda), which is the northern part of the shore. These facts make Lake Victoria extremely sensitive to climate variations and rainfall disparities. • Lake Victoria is nearly 400,000 years old. • It has a 3,440 km stretched shore line. • The surface area of the lake is about 800 square kilometers or 26,600 square miles. • It comprises of over 3,000 inhabited islets. • River White Nile or Victoria Nile and Katonga River – both flows out of the Victoria Lake. • Lake Victoria borders three nations, viz. Uganda, Tanzania, and Kenya. • The largest river flowing into the lake is Kagera River. • Geological studies indicate that the lake completely dried up about 17,300 years back. • MV Bukoba ferry sank in the Lake Victoria on 21 May, 1966. Nearly 1,000 people lost their lives in this maritime disaster. • The lake’s water is primarily used for generating hydroelectricity. • Kiira and Nalubaale (Owen Falls) dams have been built on the Victoria Nile and the lake’s waters are used in the production of hydroelectricity. •The Nile leaves the lake at Ripon Falls near Jinja which flows in a northern direction for 500 km. After passing Murchison Falls the river flows into Lake Albert and onto the Albert Nile which is the last part of the river in Ugandan before entering Sudan. So the next time you travel Africa, don’t forget to take a Lake Victoria safari and unlock the hidden secrets of the Ssese group. Thank you for keeping (us) me informed. This is really helping me with my social studies project. Reading this from Romania. Great job! Thanks for the info! Thank you for the info, I used it for a presentation on Cultural Processes and Bodies of Water in Africa. I’m 80. Dispite my age I found your discourse fascinating. Ancestors were on the Mayflower. I have Kenyan friends. Thousands of inhabited islets. I had no idea of that. Further study without a doubt.